There are few things worse than discovering that your home has fallen victim to bed bugs. If you recently found a bed bug in your belongings, you likely want to take care of the issue as soon as you possibly can. After all, it’s not unlikely that you have woken up covered in bite marks, which is just one of the horrible things about having a bed bug infestation. Lucky for you, the experts at Earthwise Pest Management know how to get rid of these pests in no time at all. On the other hand, having your home properly prepared for a bed bug treatment entails a good amount of work. Especially if you want your first treatment to be your only treatment. In order to help you make sure that this is the case, we have put together a guide that will help you prep your home for our pest removal team. Continue reading below to learn more. Take everything out from under your bed. If you have items under your bed, this is a place where bed bugs can hide and multiply further. When you remove the items from beneath your bed, leave them in the bedroom. Moving these items to another room will only help the infestation to spread to other areas in your home. Once the bed bugs have been removed, you will want to continue to not store things under your bed. Be sure to remove all items from your closets. This includes everything that is hanging up, items that are on the floor, and anything that may be on shelving units in your closet as well. Again, be sure to not move these items to another room of your home so that you don’t risk further infestation. Place any items that you don’t need in the outdoor trash receptacle or in a storage unit if you do not want to get rid of it. If you choose to use a storage unit, be sure to have your items inspected first so that bed bugs do not infest your storage as well. Additionally, try to keep clutter to a minimum in your home moving forward. 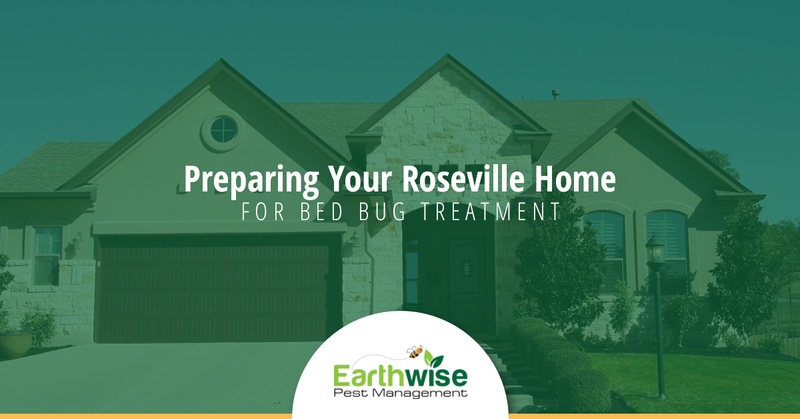 If you think you have a bed bug infestation in your home, don’t wait another minute to contact the pest control team at Earthwise Pest Management. We know how to get rid of your bed bugs in no time at all. Call us right now to learn more.